Welcome to Barn Owl Class! Barn Owl Class is a Reception class which is taught by Miss Nelson and supported by Mrs Saxby. 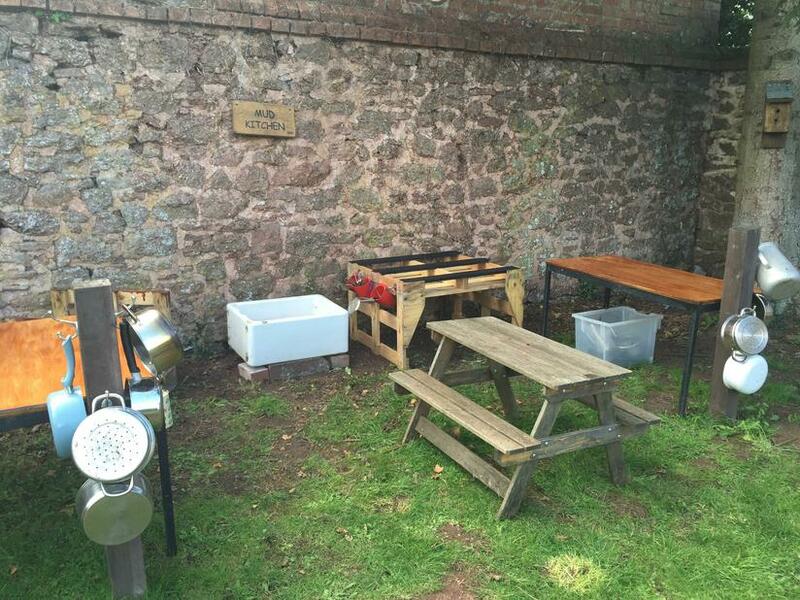 The classroom is opposite the main building and looks out over the school field and the picturesque Quantock hills. We believe that children learn best through a range of experiences which are closely matched to their individual needs and interests. Our aim is for the children to become confident, happy and independent learners. Our classroom is a stimulating and engaging environment. Within the main classroom we have a maths zone, a phonics zone, an art zone, a reading zone, our home corner and much, much more. We are very lucky in Barn Owl Class to have our own outside decking area and our beautiful Trim Trail area. Watch this space for photos and regular updates! The children follow the same weekly routine. When the children arrive at school they unpack their belongings and find and write their name ready for self-registration. Following this, the children will begin their Funky Fingers fine-motor challenges whilst some children are heard read. Both the Teacher and the LSA's will be there to welcome children into the class. Our assemblies take place two mornings a week. On the other days, the children will begin their day with self-registration, the days of the week, our visual timetable or an R-Time session. Following this, the children will take part in short teaching sessions followed by activities linked to their learning. Before break we have our phonics and mark making sessions, including our dough disco and Squiggle Whilst You Wiggle routines! Following break, the children will have their maths session followed by the magical word rap which takes us up until lunch. This can alternate with science, history or art sessions. In the afternoons, the children self-register and take part in their daily mindfulness session, followed by a guided reading session. In the afternoons the children then take part in independent learning challenges which are linked to our topic and also to the children's interests. The learning challenges will allow the children to develop the knowledge or skill that they have been taught during that week's teaching input. The challenges are changed weekly and allow the children to practise their learning through play and exploration. The children will have a weekly PE session as well as a weekly Little Explorers Session where Barn Owls will be joined by year 1's during the Autumn term as a tool to help their transition. On a Monday, the class will be led by Mrs Saxby whilst Miss Nelson takes her PPA. The children will follow the same routine with Mrs Saxby. In Barn Owl Class, our learning is based on the children's interests. After getting to know the children during their transition days in the Summer Term, the following topics have been planned to cater to the children's interests. Please have a look at our latest curriculum map at the bottom of this page, for details of this term's learning. In Barn Owl Class, Miss Nelson will carry out a 'Gap and Strength Analysis' at the end of each term. This is where we will look at the strengths of each child and examine where their specific gaps are. These assessments, along with the child's interests, will help to inform the planning for the following term. Autumn Term: An immersive Space Dome and visitors from the community for our PSHE focus on People Who Help Us. Spring Term: Rainbow Theatre Company (TBC) and a Woodland Walk focusing on story-telling and Forest School Skills. Summer Term: Minehead Beach Trip (TBC). These areas of learning will be explained in detail to you at the 'New Parents' meeting in the Summer term prior to your child starting. In the Autumn term you shall also be invited to attend our Curriculum Evening where we will explore the different areas and what it shall look like for your child. However, if you have any questions as the year progresses please do not hesitate to contact Miss Nelson. The children have learning journals which will be presented to you at the end of the year which documents their learning in each of these areas. We understand that starting school can be a very exciting but also a daunting time for both parents and children, and we try to do everything we can to make the transition into school as smooth and enjoyable as possible. Our transition days in the Summer term and our meetings in September aim to establish a close partnership, which continues throughout the year. We have parents’ evenings each term and there is also the opportunity to make an appointment to see Miss Nelson after school. A 'New Parents Meeting' in the Summer term, prior to your child starting, and our Curriculum Evening Presentation in September also ensure that we are all striving to achieve the absolute best we can for your child. Working closely with parents is very important to us at Lydeard St Lawrence and in Barn Owl Class we have many events throughout the year, such as our termly tea parties. It is also a lovely opportunity for your child to share their achievements with you. If at anytime you have any concerns or just want to 'chat', please either catch Miss Nelson or Mrs Saxby at the end of the school day or make an appointment to see her via the school secretary. In Barn Owls we use 'Tapestry' to create individualised learning journeys for you child. By logging in with a secure user name and password, you will be able to view all of your child's observations, photographs and even videos of their time in Reception. Tapestry allows you to see your child's area of learning and the age band they are working in for that activity. All of the information is stored in a highly secure server, which is monitored closely. In addition to you viewing our contributions, we encourage you to add to the journal by adding comments or by uploading photographs about your child and their achievements at home. We are sure you will love Tapestry as much as we do - it is a fantastic way to become a key part of your child's learning journey! If you have any questions, please do not hesitate to speak to Miss Nelson or book an appointment with Mrs Ellis, the school secretary. By simply encouraging your child to have a go at new concepts and challenges! ​​We are very excited this year to be continuing with our 'Little Explorers'. 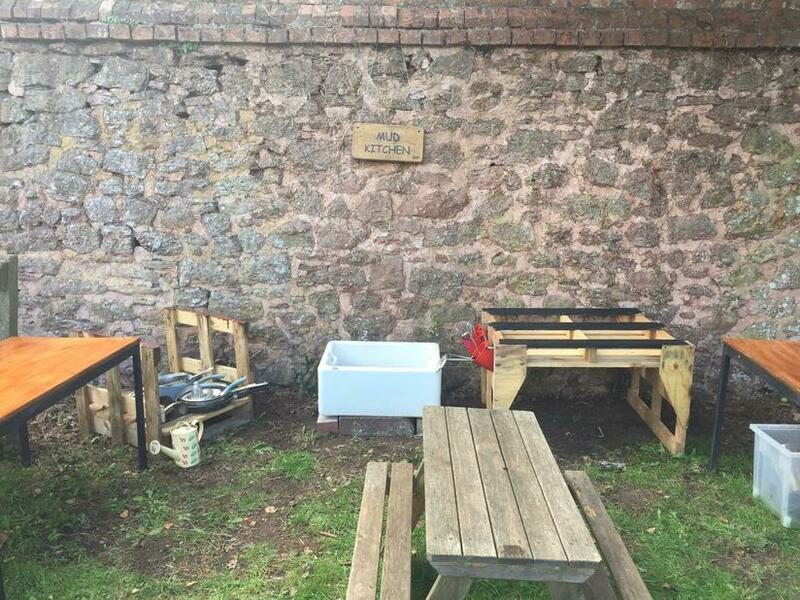 This will take in our special 'outdoor learning' area. Little Explorers are brilliant sessions, once a week, where the children get to engage and explore the outside environment while taking part in many different learning opportunities. 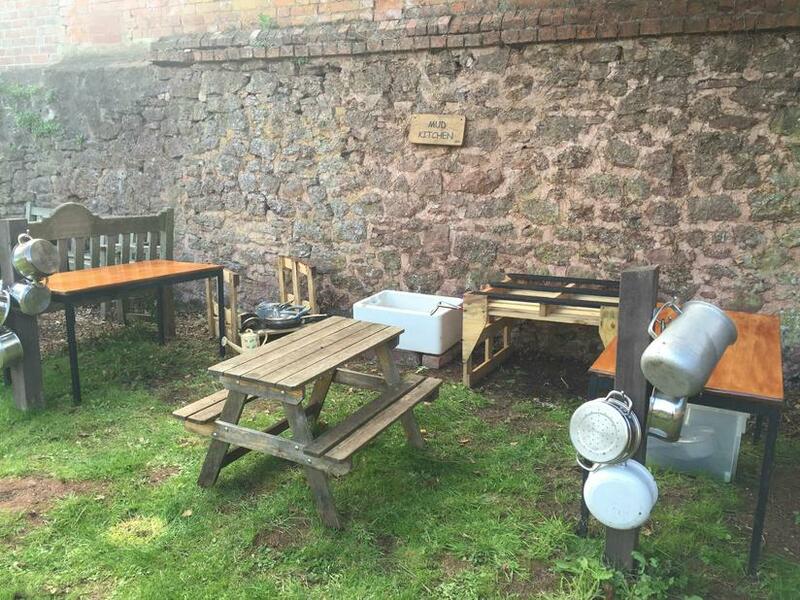 We have a mud kitchen, a mini beast hotel, vegetable planters, a pond and a fire pit! As you can imagine we have lots of fun! On 'Little Explorer' days we ask that the children come to school in their school uniform. We will then all put on the outdoor suits. The children will need to have wellies and a waterproof jacket in school everyday! Please have a look at the class timetable at the bottom of the page. While this class webpage will be updated termly please follow us on twitter at lslbarnowl. We find twitter to be an invaluable resource that not only promotes learning and celebrates work but also allows parents to see the days' 'events' and allows us to celebrate the children's achievements, both in and out of school. If you would like help to set up your own twitter page or just simply need help to access the class page, please do see Miss Nelson at the end of the school day. The impact of transitions in the early years can strongly influence a child’s future progress and development, successful transitions offer opportunities for children to learn how to manage change in a positive way. With this is mind, we have a structured transition process for children entering Barn Owl Class at the beginning of their school journey, as well as preparing them for their next part of their journey, when they enter Year 1. Examples of these processes include: inviting the on site Pre-School to participate in our `Little Explorers` sessions, visiting the Year 1 classroom for story time in the Summer term as well as our exciting transition days which take part across the Summer Term. I am extremely excited about working with you all this year!